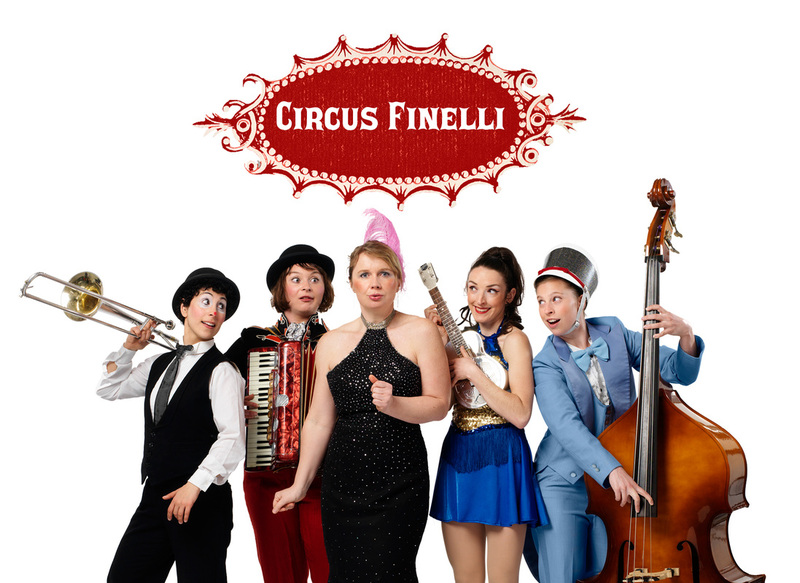 Circus Finelli is an ensemble of women clowns, specializing in cartoonish circus comedy. They are known for their physicality, eccentric music, and multi-lingual performance. The ladies of Circus Finelli draw inspiration from the European Circus and American Vaudeville traditions, exporting original classic comedy to all corners of the globe, made fresh in San Francisco, California. Knife juggler Verka Zaskodna is currently on maternity leave, and the various members are pursuing divergent adventures. Molly Shannon and Luz Gaxiola are performing in the Seattle area as Duo Finelli www.duofinelli.com. The ladies of Circus Finelli perform intermittently as the larger ensemble in San Francisco.